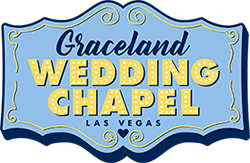 Graceland Chapel Weddings: If you wish to cancel your wedding, Graceland Wedding Chapel will refund the total amount, minus the non refundable deposit ($100 for all packages except Dueling Elvis and Concert with the King, which is $350, and $200 for Group Ceremonies). If your wedding is canceled on the same day the wedding is scheduled to take place, or a 'no show' occurs, the wedding is 100% non refundable. Red Rock/Helicopter Weddings: If you wish to cancel your reservation, Graceland Wedding Chapel offers a 100% refund with at least 30 days notice of the event. There will be no refund provided for cancelations less than 30 days, or no-shows. Ordering and Contact Form - When you place an order for products or services, or contact us through our contact form, we use a form builder called JotForm, where we collect Personally Identifiable Information (such as name, contact and billing information, credit card, and other transaction information). We use this information to deliver your order, process payment, and to communicate with you about the status of your order. All the information is stored on JotForm, and not store directly on our website. Payments - Payments collected through our website are also entered through JotForm, but we use a payment processor called Square, which integrates with JotForm. Your payment information is stored on Square, and is not stored on our website. From time to time, we may be required to provide Personally Identifiable Information in response to court order, subpoena, or government investigation. We also reserve the right to report to law enforcement agencies any activities that we in good faith believe to be unlawful. We may release Personally Identifiable Information when we believe that such release is reasonably necessary to protect the rights, property, and safety of others and ourselves.